Since 1993 Fox Valley Plastic Surgery SC (FVPS) has been helping over 35,000 patients “perfect their personal Renaissance.” Our board-certified plastic surgeons in Oshkosh and Appleton attract patients from Green Bay, Fond du Lac, and Neenah, WI, and beyond for a broad range of services including cosmetic and reconstructive surgery, skin care, vein therapy, weight loss programs, and laser treatments. The success of our practice begins with our exceptional plastic surgeons. To meet with them in Oshkosh or Appleton, Wisconsin, request your consultation using our online form or contact us at (920) 233-1540. Our plastic surgeons, who are both board certified by the American Board of Plastic Surgery, are focused on surgical excellence and precision artistry. Drs. 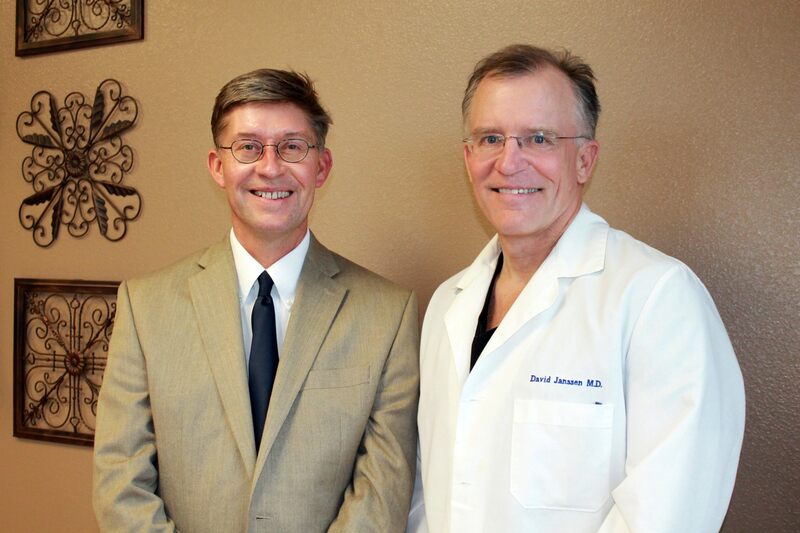 David Janssen, founder, and William Doubek, who joined the practice in 1998, demonstrate their commitment to quality care and continuing education by being members of the American Society of Plastic Surgeons (ASPS) and the American Society of Aesthetic Plastic Surgery (ASAPS). Only 25 percent of plastic surgeons have membership in this prestigious society. Fox Valley Plastic Surgery feels community involvement is important and provides support to many organizations, including the American Cancer Society, Boys and Girls Club of Oshkosh, Leukemia and Lymphoma Society, The Women’s Fund of Oshkosh, Oshkosh Youth Baseball, St. Elizabeth Community Hospital Foundation, and UW Oshkosh Foundation. We love to see the smiles on our patients' faces when they look and feel their best. See the results for yourself. Copyright © 2019 Fox Valley Plastic Surgery. All rights reserved. Wisconsin plastic surgeons Drs. David Janssen and William Doubek perform breast augmentation, breast lift, laser hair removal, vein treatment, face lift, tummy tuck (abdominoplasty) and liposuction. They serve Wisconsin communities including Oshkosh, Appleton, Milwaukee, Green Bay, Madison, Fond du Lac and Neenah.